Bojidar is PwC’s South East Europe Managing Partner as well as the CEE Corporate Finance leader. Bojidar’s 23 years of experience include advising clients on major privatizations and private sector deals in the region, market entry and exit strategy analysis, restructuring, liquidation and turnaround services, as well as post-acquisition assistance. 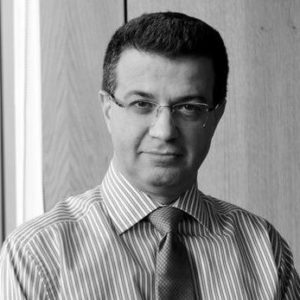 Bojidar joined PwC in Bulgaria in September 1994, and has been a Partner since 2004. In his previous roles, he has significantly developed PwC capability in the region via building and developing local and pan-regional teams, acquiring talent from the market and working closely with the regional and wider firm in serving clients in these markets. Bojidar has also taken on temporary roles transforming PwC’s position in a number of countries. In 2001-03 he was part of the core team of rebuilding PwC’s Serbian business. He also coordinated the establishment and early development of PwC’s Albanian practice between 2004-06 and the merger with one of the leading professional services firms in Croatia in 2012. Bojidar graduated the University of National and World Economy in Sofia. He speaks 6 languages and is a Fellow of the Chartered Association of Certified Accountants (FCCA).